If you're still catching your breath from the Xbox One-related Gamescom news and PS4 tidbits, we have one more for you. 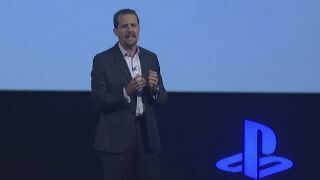 Sony Computer Entertainment President and Group CEO Andrew House announced that for a limited time, users who purchase games for the PS3 will be able to upgrade to a digital PS4 version at a "significantly discounted price." Games included in the program are Call of Duty: Ghosts, Assassin's Creed 4: Black Flag, Watch Dogs and Battlefield 4. Ubisoft, EA, Activision and Warner Bros. were listed as partnering publishers, though House teased that more information is due out soon. Look for the PS4 to launch in the U.S. Nov. 15 and Nov. 29 in Australia and Europe. You don't have to travel to Germany to see what our news blips are all about.